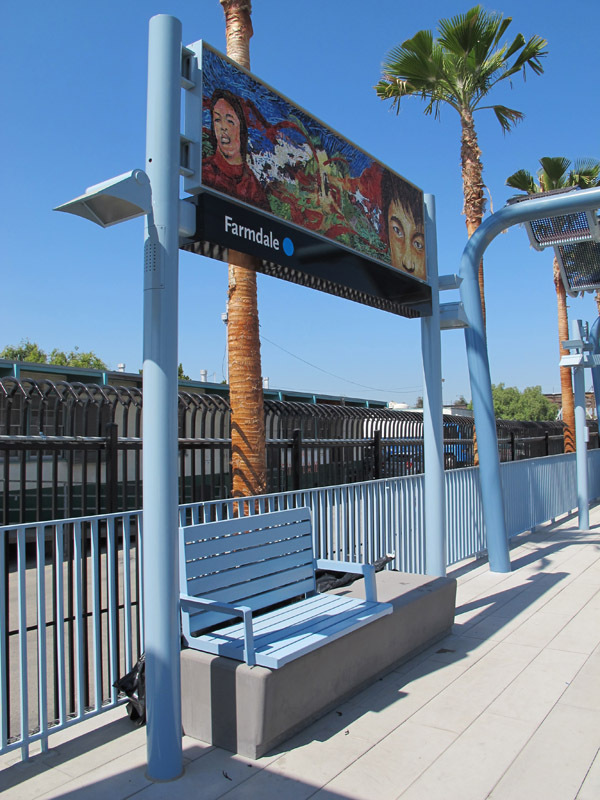 Michael Massenburg’s artwork for Farmdale Station draws on the rich history of Dorsey High School and the surrounding community to illustrate the many people who have contributed to the area’s growth and cultural life. Massenburg uses mixed media techniques, applying paint in several layers and colors to create a dynamic, textured visual field. 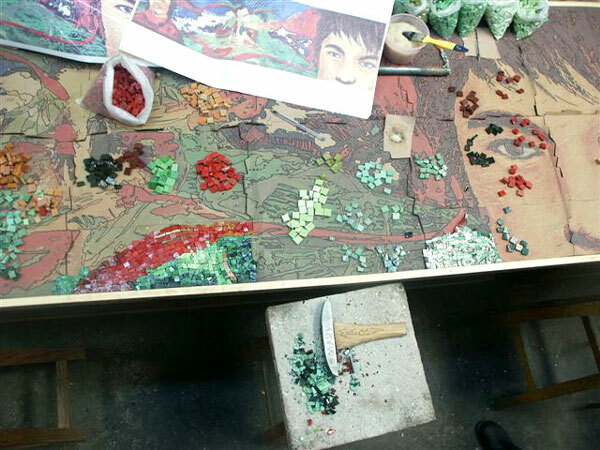 Colored glass is separated into tiny mosaic pieces using a specialized hammer, then matched to the original artwork design. More photos are after the jump! 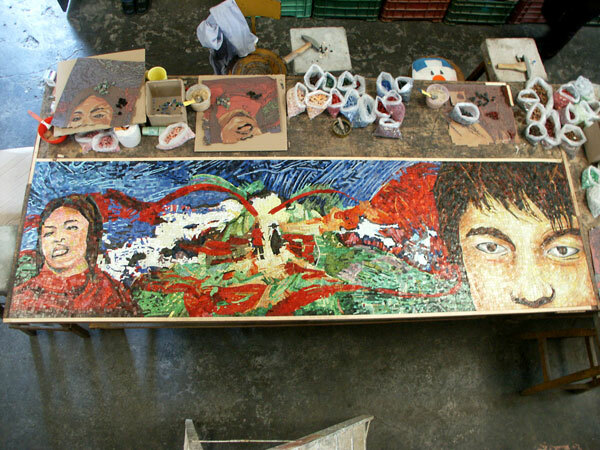 The completed art panel sits alongside bags of glass mosaic pieces. Various community leaders are depicted in each artwork panel design. 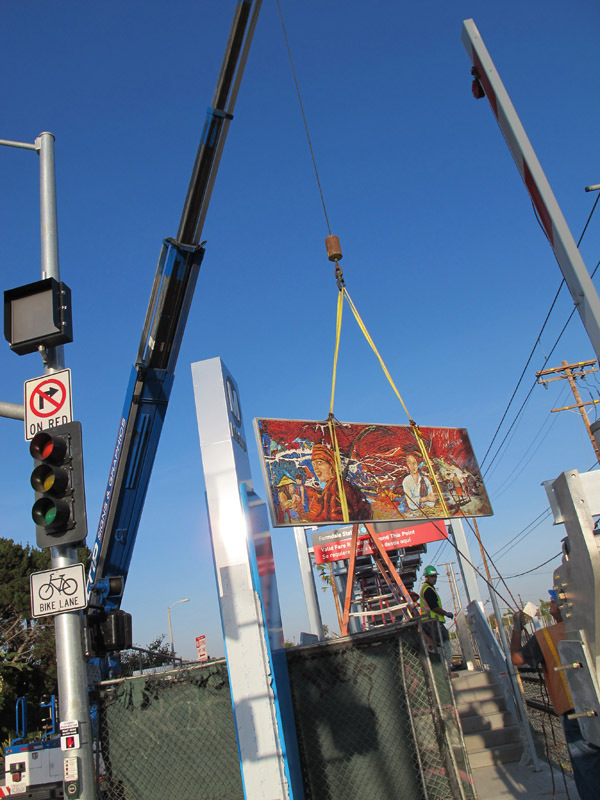 Dale Davis (left) was a longtime arts instructor at Dorsey High School and a co-founder of Brockman Gallery. Libby Clark (center) served as the news editor and food editor for the Los Angeles Sentinel for 50 years, an African American owned and operated weekly newspaper. Vivian Candy Tanamachi (right) is a part of CalTek Net, an organization that helps low-income communities gain access to computer technology. 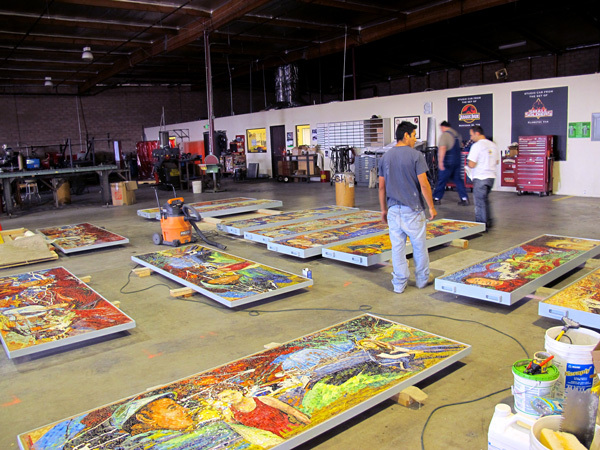 Twelve of 24 art panels at the frame fabricators’ shop, in various stages of completion.